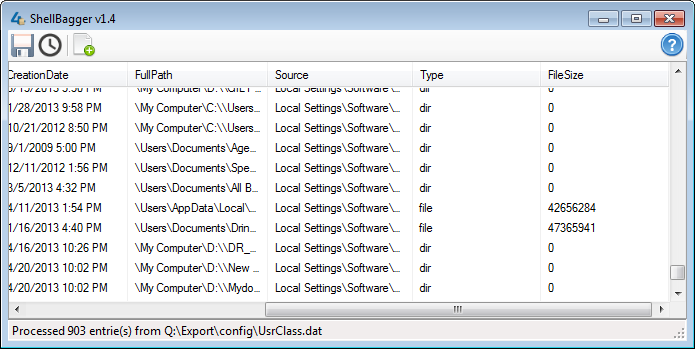 Microsoft Windows tracks user window viewing preferences specific to Windows Explorer. 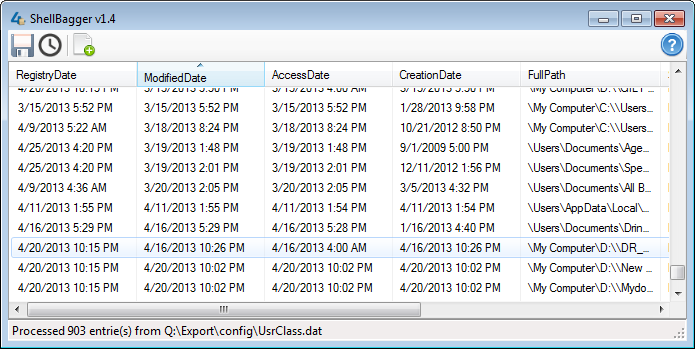 Tracked items include the size, view, icon, and position of a folder from Windows Explorer. This information is referred to as “ShellBags”, and are stored in several locations within the Registry. These keys can be extremely useful to a forensic investigator since the ShellBags are persistent and remain behind even if the directory is removed. They can also be used to reveal information about past mounted volumes such as USB drives, mapped drives, network folders, deleted files, and user actions. 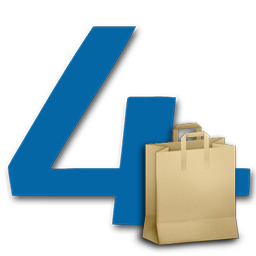 ShellBags may be found in a few locations, depending on operating system version.